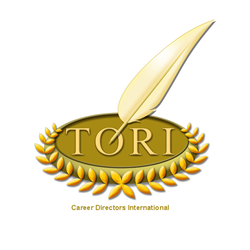 Career Directors International announces the award nominees for the 13th annual 2014 TORI winners page (TORI) Award resume writing competition. The competition once again brought in entries from some of the most extraordinarily talented resume writers who have demonstrated the outstanding quality, creativity, and writing skills that are the benchmark of the competition. The TORI competition is the benchmark for resume writing and for resume writers worldwide. Once again professionals resume writers from around the world have submitted their best resumes in CDI’s annual international resume writing competition, The TORI Awards (Toast of the Resume Industry). Competitors entered fictionalized resumes in nine separate categories, which ranged from best executive resume to best sales resume, with a new 2014 category of best accounting and finance resume. The panel of judges, all certified resume writers and many former TORI winners, led by CDI’s Award Director Robin Schlinger of Robin’s Resumes®, have performed an anonymous evaluation to determine the nominees in each of the categories. A second panel of highly-qualified and certified resume writers will select the first, second, and third place winners in each category to be announced in October. The 2014 winners will be announced in mid-October and those resumes will be posted to the 2014 TORI winners page. Medals and certificates will be conveyed at CDI’s Global Career Empowerment Summit. For more information on the TORI Awards, visit CDI’s awards page. Job seekers can also learn more about how to select a certified resume writer; access job search and resume writing tools, advice, and videos; and search for a qualified professional resume writer or career coach using CDI’s free job seeker center.